A.R.E.S. Extinction Agenda EX is the upgraded version of A.R.E.S. 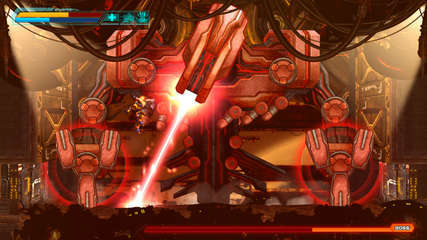 Extinction Agenda, the award-winning 2.5D action-packed side-scrolling platform game that originally released in 2011. Obstruction Eminent – Ares isn't the only one with new tricks; new enemies and bosses have also joined the fray. Along with challenges stages, you’ll need all your might and power to fight off these guys.